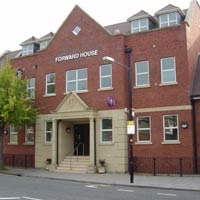 Forward House is a brand new, fully air-conditioned building with a grand marble floored entrance, in a prominent position on the High Street of this attractive market town. 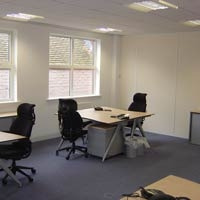 The business centre offers units from a single person office to 20-30 person office suites, with space for 150 workstations. In addition, unserviced Flexispace accommodation is available from 2,000 sq ft, on terms from three months to three years. There are shops and restaurants close by; the railway station is a short walk away and there is underground parking, supplemented by three nearby public car parks. The UBC branding is low profile, so you can promote your own brand without being eclipsed by ours. UBC is in business to help you do business, so we’ll ensure that your meetings run smoothly and help you make the right impression. 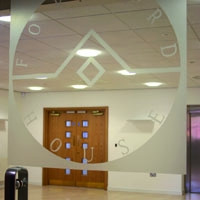 All of our boardrooms, meeting rooms, training rooms and interview rooms are clean, well furnished and equipped with the latest audio visual equipment. Most benefit from plenty of natural light. Contact UBC Henley in Arden directly or use our simple contact form.